How to Use C++ Round-Trip Engineering? Current: How to Use C++ Round-Trip Engineering? Visual Paradigm supports C++ round-trip engineering. It allows you to generate ANSI C++ code from UML class diagram, and to reverse engineer UML class diagram from ANSI C++ code. In this tutorial you will be given a project file, and try to generate ANSI C++ code from it. Then, make change in the code and have the UML class model updated from the code. In this tutorial, we will show you how to perform round-trip engineering of ANSI C++ with a given project file. 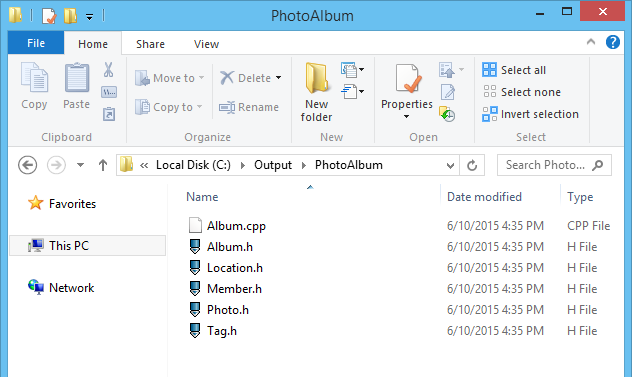 Download Photo-Album-CPP.vpp. You can also find this file at the bottom of this tutorial, under the Resources section. There are few ways you can take to generate ANSI C++ code - generate code from diagram, from selected classes, or for the whole project. In this tutorial let's try to generate code for the whole project. Select Tools > Code > Generate C++ Code from the toolbar. 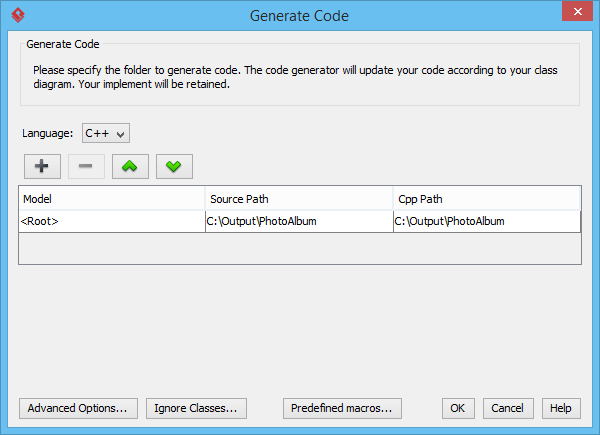 In the Generate Code window, specify the Source Path. You can specify a path by clicking on the cell and then click on the ... to popup the file chooser for selecting a folder. Click OK to generate. Source files are generated to the output path specified. Once you have finished generating code, you can modify it with your IDE or with any text editor. When you've finished the modification, you can reverse the code-base back to the Visual Paradigm for an update of the UML class model. Let's have a try. 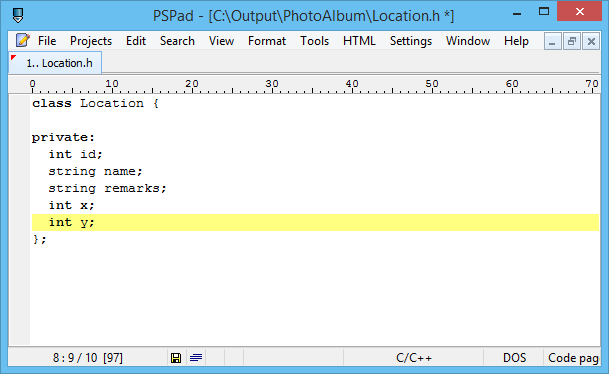 Open the generated file Location.h in a text editor. Let's say we want to add two attributes for the coordinate (x and y) of the location. Let's add two private int attributes x and y. Let's update our UML model to reflect the change just made. Select Tools > Code > Reverse C++ Code... from the toolbar. Uncheck Reverse source on demand at the bottom of the Reverse Code window. If you keep it checked, the UML model won't be updated directly. 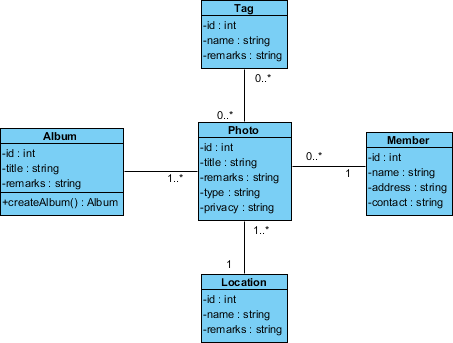 Instead, an index tree will be formed from the source files specified in the source folder. We want our model updated, so let's uncheck it. 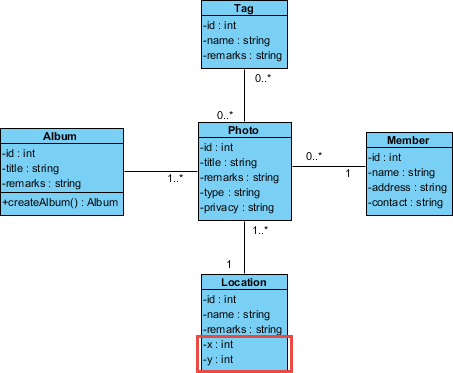 Click OK. Now, the class diagram is updated and you should see the two private int attributes x and y added to the Location class.